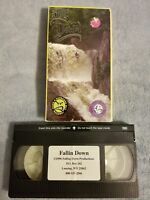 Details about LIKE NEW 6 VINTAGE 1998 BOXED VHS TAPES FROM THE EARTH TO THE MOON APOLLO SPACE! LIKE NEW 6 VINTAGE 1998 BOXED VHS TAPES FROM THE EARTH TO THE MOON APOLLO SPACE! 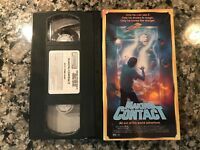 Making Contact VHS! StarMaker 1985 Strange Adventure! The most comprehensive coverage of the space program I've ever come across. And of course, with Tom Hanks involvement it was absolutely entertaining. I used it as a "class" on space science for my homeschooled 13 year old.....he was glued to it! I would highly recommend for anyone interested in understanding the Apollo space program. The program was well done, informative and evocated many memories from my childhood. I purchased the video set to share with my grandson.